"We became involved with University of Iowa Stead Family Children’s Hospital on October 13, 2018 when our daughter, Ailsa, was born 7 weeks and 1 day early. Our daughter had a duodenal atresia, which is a bowel obstruction, before she was born. This blockage made it so she was unable to drink the amniotic fluid, causing the amniotic sac to burst and lead to premature labor. 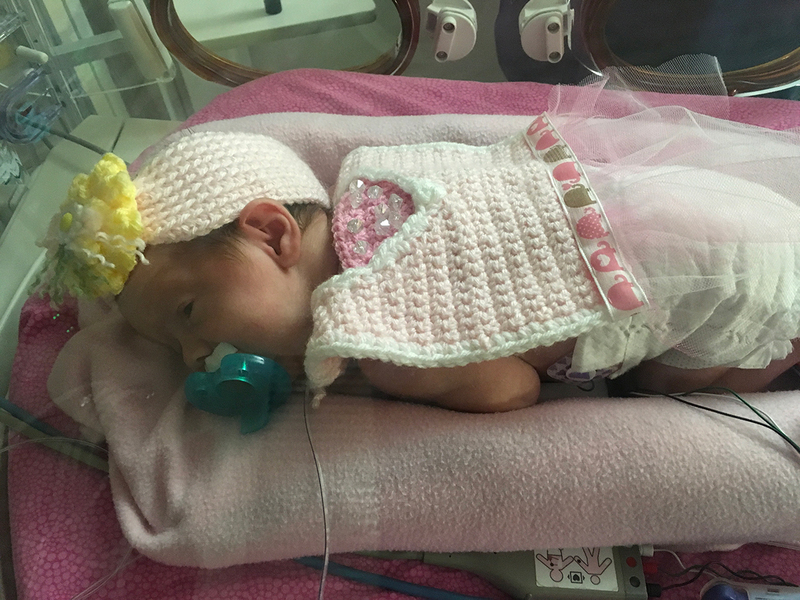 She was born at a local hospital and just a few hours later was brought by ambulance to the UI Stead Family Children’s Hospital’s neonatal intensive care unit (NICU). Just three days later she had surgery to repair the duodenal atresia. It was not until she was 10 days old that she finally got to drink for the first time. She got moved from the more serious bay 3 to Level 6 at the children’s hospital on Nov. 5 at just over 3 weeks old. She is having to learn how to drink from a bottle and even to have bowel movements on her own. So far she has been a rock star, with no setbacks. The doctors, nurses, and support staff are fantastic. The hospital is new and has great amenities. Your child will be in good hands and get the care they need."